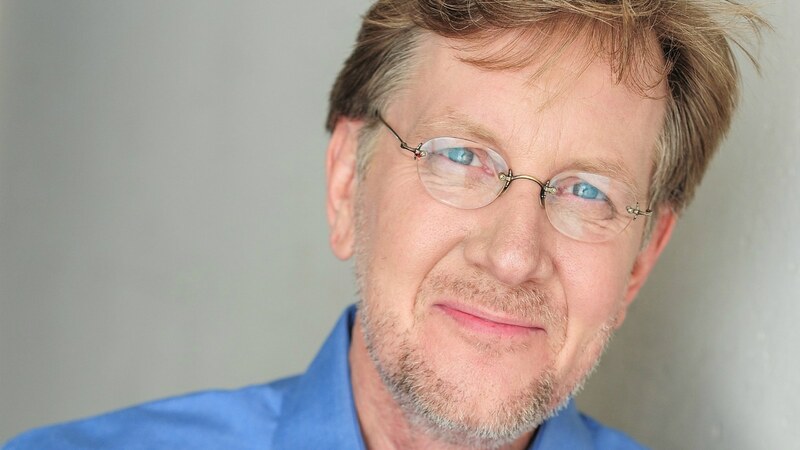 Could it be that narrator and actor Robert Clotworthy has had an enviable career? 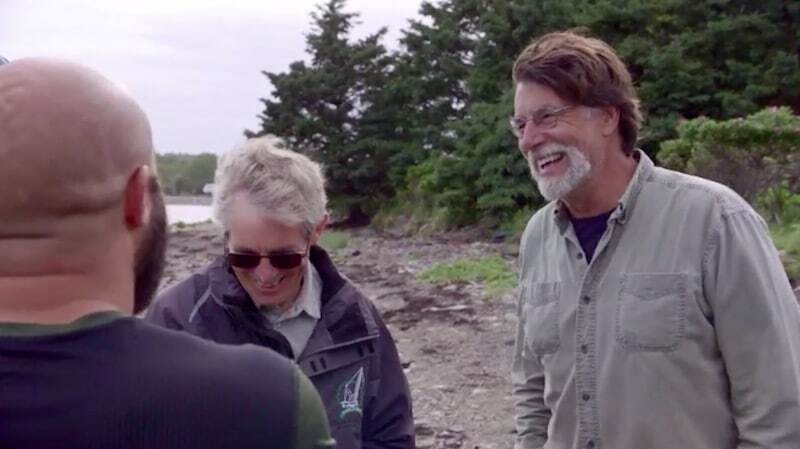 A Southern California native, Clotworthy is the narrator of History channel’s ratings monsters The Curse of Oak Island and Ancient Aliens. Millions of fans let him into their homes every week as they dare to imagine what could have been, and what might be, in the two addictive and hugely popular shows. He is also the very recognizable voice of Jim Raynor in StarCraft, a character who has had a huge impact on people for whom he’s been a role model. Clotworthy’s immediately soothing, recognizable voice isn’t all he has up his sleeve, either, as he has has also had some plum roles in film and TV — and on top of that is a martial arts master. Our previous focus feature did a deep dive on his awards, martial arts accomplishments and work, with his CV listing over 100 feature films, television programs and video games. But just who is Robert Clotworthy, the man of mystery behind the microphone? As a teen, Clotworthy’s interest in voiceover work was guided by his father, who was a producer of radio commercials. And because of his father’s connections he rubbed shoulders with some of the giants in the industry like Stiller and Meara and Mel Blanc. His natural talent, combined with all of this incredible inspiration and guidance around him, led to a rich multi-faceted career — going on 45 years — which shows no sign of slowing down any time soon. 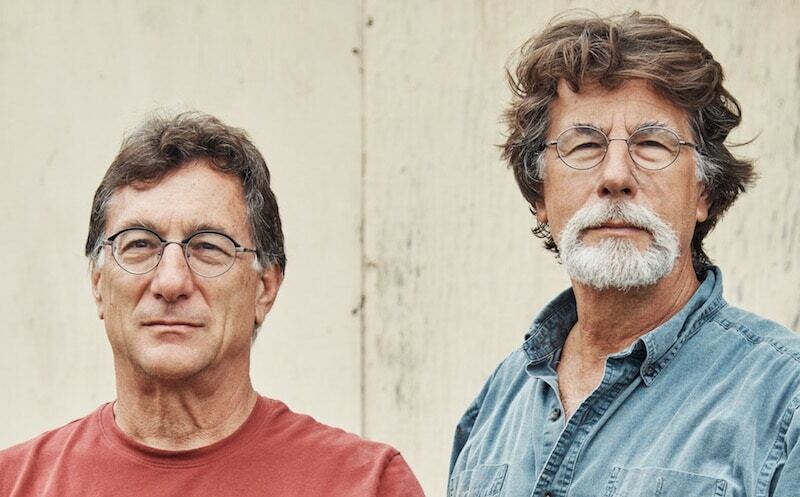 Monsters and Critics has interviewed his producer, Kevin Burns, in the past and in our interview, Robert Clotworthy has nothing but praise for the man who pens many of the scripts for Ancient Aliens and oversees The Curse of Oak Island too. Robert: I actually know the exact count. It…no, I’m just kidding. I have not a clue. It’s amazing because when you add to that, not just in the show, but all the people that ask me to say it, it’s tens of thousands. I don’t know. It’s a lot. I never get tired of saying it. M&C: Have you ever had a moment when out and about, or speaking to someone on the phone, on customer service lines, or just in stores, and someone has stopped in their tracks hearing you talk…like they know you? And it usually doesn’t get me a good table at a restaurant, but at least it’s fun. At least I’m able to make a little bit of a connection with people. Yeah, but it’s really interesting how the voice has a unique kind of power to it. When you don’t see somebody, especially for example if you hear someone on the radio, then you see them on television, all of a sudden there’s a little bit of a disconnect because they didn’t look the way that you thought they were gonna look. It’s different. So, it’s kind of nice to be a little bit anonymous because the voice is able to get right in your brain, right in your head, and it’s a bit of a magic to it. When I meet people, first of all, I respect the fact that they like the show. That’s really important to me that they have a good experience. Then when I meet them personally, I feel that I need to be an ambassador for the show. My uncle, for an example, he taught me an important lesson when I was a little boy. He was an Olympic diving champion. 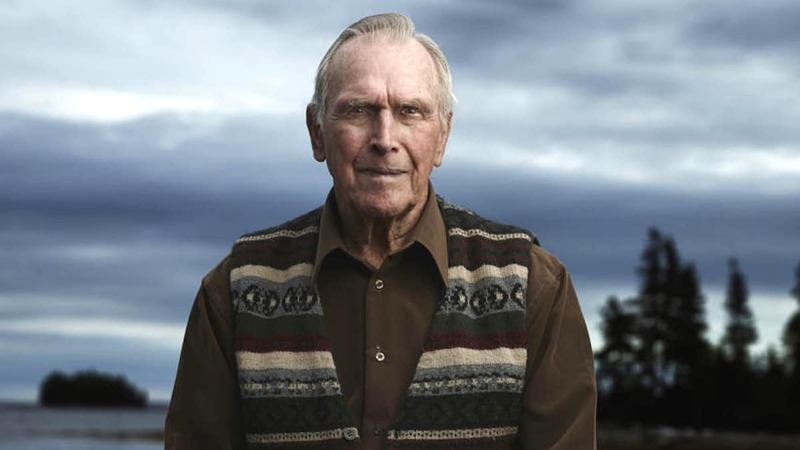 People would come up to him, and he was very famous in the fifties because he was a gold medalist. And, people would come up to him and ask him for an autograph. Now, he was a pretty humble guy. And, he would say to me it was not that big a deal. He was kind of a little bit surprised, but to them it was very important. So, he respected that. So, I know that I’m in a unique position here with being able to be on a show that is as popular as the ones that I am doing and that there is an impact and a uniqueness to that experience that people have. They have kind of a…it’s almost like a familiar connection they have with me. Sometimes they tell me, “you’re at our house all day long. We listen to you all day on Fridays.” Or “We go to sleep with the television on as we hear your voice.” So I’m part of the family in a very unique way, so I respect that and I try to make that as nice of an experience for them as I possibly can when I do meet them. And, I have a lot of fun with it. M&C: Do you have any personal theories about what is actually on Oak Island? Robert: You know, there’s got to be something there. Something that has sustained for two hundred and some odd years, that people have been searching for something. There’s got to be a reason. And that’s what’s interesting about it. If you find the treasure, it’s one hour and it’s over and done with. This is about people who are realizing a dream that they’ve had since they were little kids. And, they’re able to do this, and they’re taking us along for a ride. What happens is, if you have the means to dig for treasure, how would you do it? And these guys are pulling out all the stops. I know they’re incredibly sincere about what it is they’re doing, and I think what is the magic about this show is the relationship that they have. You can see this wonderful, brotherly bond that the two of them have [brothers Rick and Marty Lagina], and it’s very endearing, and it’s very engaging for the audience. These guys, they aren’t playing at this. They’re doing it for real and they have a great dynamic, and I find this show utterly fascinating. As far as what they’re going to find, I don’t know. I’m with them as long as they are digging, and I’m going along with the ride. I look at it as a friend would, anyway. Even though my job is to articulate what’s going on in the show, I’m intrigued by what it is they’re doing. When I go into the recording session, I don’t get the script in advance. And, the reason for that is because I don’t want to know what is happening in advance. I don’t want to be…have a preconceived idea as to how I’m going to say a particular line. If all of the sudden, it says, “Hey we found XY and Z,” I want to be surprised. I want to be excited about that and I allow that natural enthusiasm to come out in my interpretation. So, I am the audience as…I’m like everybody else. I just happen to say the words. M&C: Have you ever met Marty and Rick [Lagina]? Robert: I have not met them, but I would like to. I’m looking forward to the day when we actually do meet. M&C: Are you ever going to go to Oak Island, yourself? Robert: I would like to. I’ll tell you a funny thing. I’m worried about…I know Rick got bitten by a tick when he was there, so I’m a little bit nervous about that, and I want to make sure that the craft services is good. Because if I go out there, I like to eat, so it’s important I’m not just eating something out of a shell. M&C: Dan Blankenship’s passing really affected all of the COOI family. What was he like in real life? Robert: Well, I never met him personally, but most of the information I got was second hand to the people that did meet him. And, I know that he was…my father is 94, so I can identify with Dan, who I think was 95, so he was basically the same age. And, for a person to be doing what he loves for that length of time, and to have kind of passion, I think was incredibly inspiring. And he also had knowledge that comes through experience, and he was also wise. Unfortunately, wisdom and experience is not something you’re born with. It’s something you have to achieve throughout your life, and I know he was a curious man. All those qualities, I found to be very inspiring to me. I’m sorry that he’s passed, but my goodness the guy lived the life he wanted to live and he went out strong, and I know that Rick and Marty and the rest of the guys are going to continue his legacy. He was a very inspiring man. M&C: Another one of the big shows Kevin Burns produces is Ancient Aliens, and I wanted to know if that was something you believed in. Do you believe in aliens? And the ancient astronaut theory? Or, are you skeptical? Robert: Well, I am…I have to look at it this way. I have a particular job with the show. And, if I were to go on one side of the fence or the other, if I was a skeptic, then it would be, the show would be different. If I was on board 100 per cent, then I’d be kind of preaching to the masses. As Kevin likes to say, he’s an agnostic, but he’s open to the information. So, I kind of try to tread that line, since I am his voice. He’s the person that writes the dialogue. So, I know it’s a fine line, but it’s an important line. So, if people ask me about that and I say…I almost refuse to answer, only because I want to be true to my own curiosity. And again, with Ancient Aliens, I don’t look at the script in advance. I like to get the information and if I’m a little bit perplexed by something, maybe that comes out in a read. If I’m excited about it, hopefully that comes out. If I’m a little bit skeptical about it, maybe that comes out as well. Again, my job is to be the audience. I’m not supposed to give you an opinion. It’s a show about questions. Its a show about searching for the answers. As humans, we’re told that from more and more people that it’s all just a cosmic field guide that we’re here. It’s the big bang, there’s no purpose to it. I think as humans, and Kevin has articulated this, as humans we know that can’t be right. There’s got to be something there. There needs to be a purpose to why we’re here on this planet, and this show is searching for that. Now we don’t say that it’s X or Y, we just give you the possibilities. This is what we’ve learned from the past. As Kevin would say, its not that the pyramids tell us that we were created by the aliens, that’s what we discovered when we….as we go in deeper and deeper. This is the information…it seems like every time you dig deeper into the past, we find out that we were around a lot longer than we thought we were. So, I have a lot of questions. I’ve met some people who’ve told me some amazing personal experiences that I can’t say that they’re wrong. All it takes is for one of these stories to be true for all of it to be a possibility. So when I say, “Is it possible? Could it be? What if it were true?” Those are serious questions. Those are the ones that we’ve been asking since we first gazed at the stars when we were living in caves. Robert: Well, what’s interesting — then I’ll talk about specifically about Jim Raynor — that is a character that I’ve portrayed since the very beginning. First of all, as an actor, to have a job that lasts over twenty years, is incredibly rare. I’ve been incredibly blessed to have several shows and projects that have gone into over a decade. With Jim Raynor, what’s nice about that is as a voice actor, you’re not limited by what you look like. Jim Raynor is this tough space marine, who’s probably 250 pounds, he’s super muscular, he smokes cigars — he’s tough. I wouldn’t say I’m the exact opposite of that, but I’m certainly not…I don’t physically look like that guy. So, if I were auditioning on camera, I’d never get the role. But as a voice actor, you have the ability to be just about anything. If they’re casting for the role of a toothbrush, you could be the voice of that toothbrush. What’s nice about playing a character like that in the video game is that…as actors, we want to be able to have great stories we can tell, and we want to be able to have a character that has, that evolves over time, that runs from his experiences, that there’s a great character art to it. And with Jim Raynor, the writing was so wonderful, the character was so rich, the story was so…I’m a big fan of stories, and Joseph Campbell. Basically, this was the hero’s journey…with Jim Raynor. So I had this incredible story that I was able to be a part of over all these many years, and working with incredible actors and phenomenal voice directors, we were able to tell this story that rarely as an actor do you get to experience and be a part of. Another thing about voice acting, it’s very much akin to acting on camera, but even if…if on the stage, for example, if you have to perform so the people in the last row are able to understand what it is you’re doing. The performance technique is a little bit more, I don’t want to say restricted, but it starts to get a little bit more subtle as you get into the different mediums. With film, for example, since there’s close-ups you don’t really have to do very much. You can just kind of do a little wink of an eye or something and it’ll convey a lot. But with voice acting on the video game, since you don’t have the visual, you just have the voice, you have to be even more specific in what it is you’re doing. You have to be even smaller, you have to trust that much more. There’s nothing worse than listening to a voice actor that’s just slamming you against the wall. Sometimes with Jim Raynor, it may just be a little bit of a whisper, maybe just something really small and tiny, but when you hear it, and it goes through the speakers, all of a sudden, it’s big. So there’s a challenge there that you have to trust. When I first went in to do the character, back in — goodness, I guess when we did StarCraft 2 which is the early 2000s — the one thing that I asked the director, is, I said, “Keep me honest.” I didn’t want to BS anybody. I wanted to be true to what it is that this character was experiencing. You have to have the courage as an actor to basically open your chest and expose everything you’ve got. You’ve got to let it all there. You can’t hide anything. You need to expose yourself to words and all, and that’s what makes the character interesting. What makes the character interesting for me was that he was human. He wasn’t superhuman. He could hurt. He did hurt. He made mistakes. He had qualities about him that were very inspiring. He was a great friend. He was the kind of guy you would want if you were in trouble. He’s the person that’s going to have your back. And when people come up and say that to you, you know, I’m just a voice actor. I’m just going in and doing my job. Again, I have to respect what it is that they’re experiencing and honor that, and take that as a complement. I take that as a complement, and the joke that I say when I go to a convention is…I’ll say to those women who crawl into bed, turn on the TV, listen to the show, and fall asleep and say thank you to me, I embrace them, I say thank you very much. To the significant others that are involved with those women, I apologize. M&C: [Laughing] You’re funny. Can you do us a huge favor and give us a special Monsters and Critics “could it be”, just for us? Robert: Could it be? What if it were true? Is it possible? Ancient astronaut theorists say yes.